VERSATILE as apples are, I have not come across many recipes that combine them with the sweet spice cardamom. Though native to India, Guatemala is now the leading producer of cardamom, an unusual spice that is often featured in Scandinavian baked goods. My fondness for cardamom dates back to childhood, when my mother made a braided Scandinavian coffee bread every Christmas flavored with this distinctive spice. She always made breads to give away in addition to the loaves inhaled by our family of six, to family, friends, even the postman and milkman some years. The coffee bread was highly aromatic, moist, and chewy, and it came served with butter topped by a thin layer of almond extract-tinged icing decorated with candied cherries and finely chopped walnut pieces. But it was the cardamom that gave the bread its distinctive bite. In making the recipe below I followed my mother’s method of peeling whole cardamom seeds from their whitish husks, and grinding them by hand with mortar and pestle to the consistency of coarse pepper. This worked to great effect in her bread — you could see little shards of cardamom bursting with intense cardamom flavor — and whole seeds kept in glass jars keep their flavor longer. But the cardamom flavor in the cake I made was too mild using this technique, overshadowed by the pecans. I subsequently read that finely ground cardamom is the preferred consistency for most baked goods, infusing them with stronger cardamom flavor than the rougher mortar-and-pestle-crushed seeds. This Scandinavian Apple Cake recipe was adapted from one given to my mother by Trish Leipold of Wolfeboro Falls, New Hampshire, years ago; my mother only recently passed it along to me. I made a few mistakes in my first attempt, corrected here. Further chopping of the cubed apples will improve the cake’s texture and make it moister by releasing more of the apples’ juice. 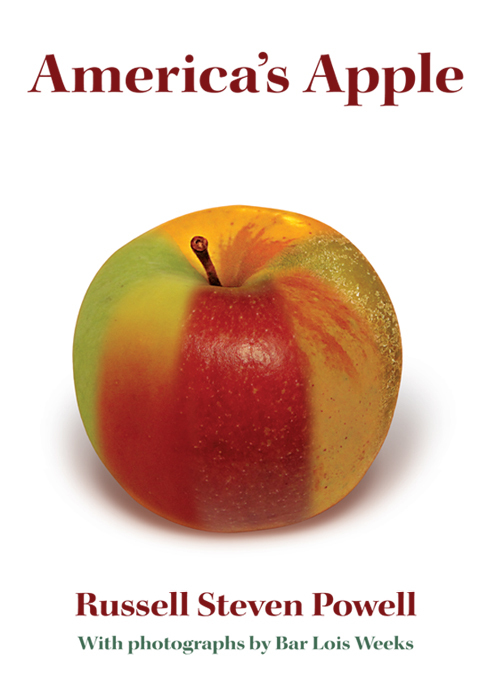 The apple’s skin, incidentally, included for nutritional purposes, adds flavor and color to the cake. I used three McIntosh and two Golden Delicious apples. The cake is delicious, and definitely merits another try. Preheat oven to 350°. Grease a 9”x13” baking dish. In large bowl, combine flours, baking powder, baking soda, and spices. Set aside. 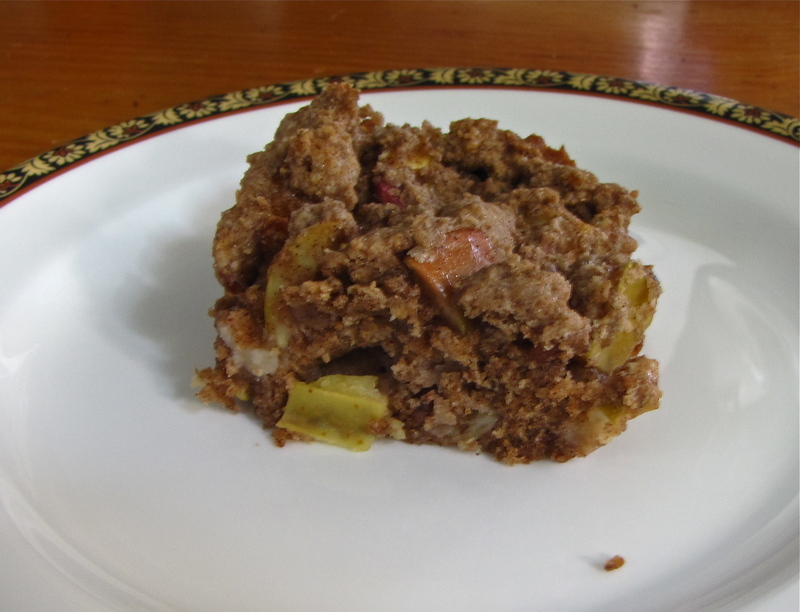 In another large bowl, mix together apples, sugar, nuts, and butter. Using a food chopper or processor, make apple pieces about the size of peas. Stir in eggs and vanilla. Add dry ingredients to apple mixture, stirring just until combined. Spread into prepared baking dish and bake for 30 minutes or until the apples are soft and a toothpick inserted in the cake comes clean. 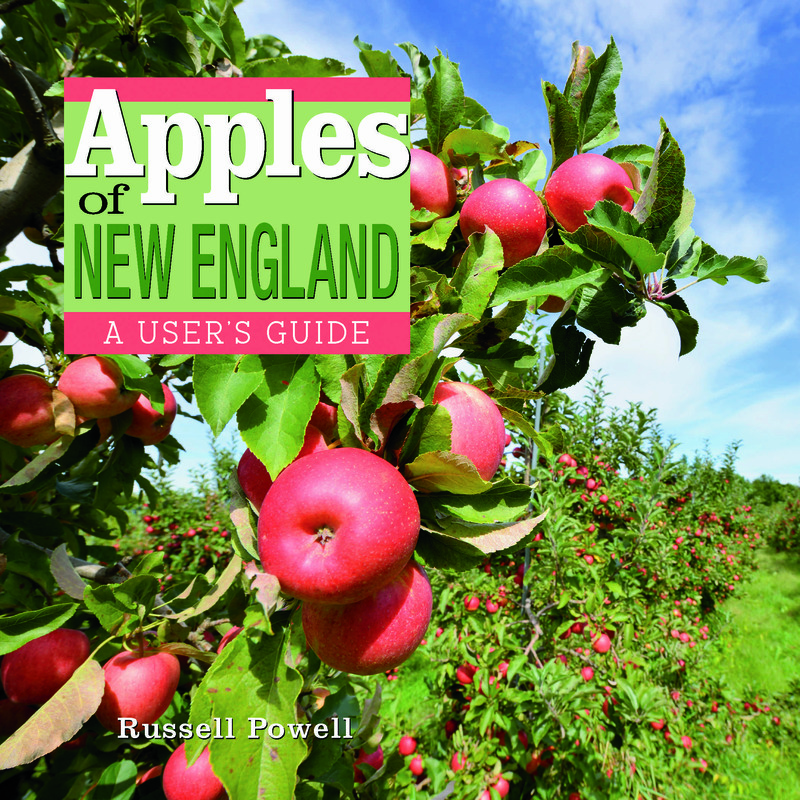 THIS SUNDAY, November 23, from 10 a.m. to 11:30 a.m. author Russell Steven Powell will sample apples, answer questions, and sign copies of his new book, Apples of New England, at Tags Hardware in the Porter Square Shopping Center, 29 White St., Cambridge, Massachusetts. 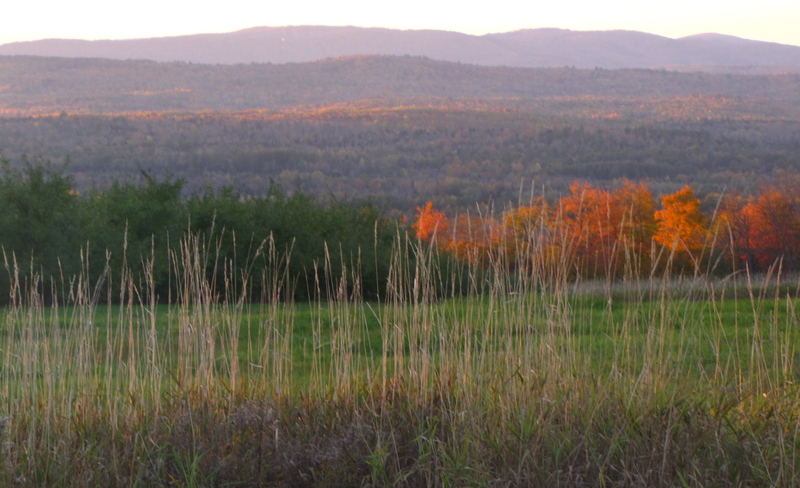 Powell is senior writer for the nonprofit New England Apple Association after serving as its executive director from 1998 to 2011. Photographer Bar Lois Weeks is the Association’s current executive director.